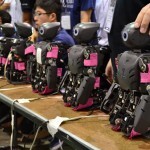 If you would like to cover the competition, please register at press@robocup2013.org stating when you expect to arrive and how many days you will cover, with how many people and the medium which you represent. We will then make sure that a press pass is ready for you and your team. 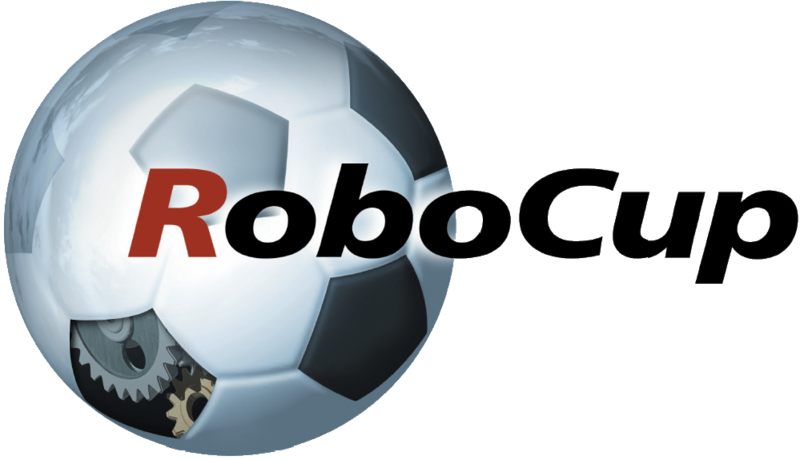 The senior leagues of RoboCup 2013 will take place in the Indoor Sportcentrum in Eindhoven, on the Theo Koomenlaan 1. You can find the route description at www.indoorsportcentrumeindhoven.nl/algemeen/indoor-sportcentrum-eindhoven-goed-bereikbaar.html. During the tournament a professional photographer will take pictures. You can use these high resolution photos free of charge if you mention the name of the photographer and the source in the photo caption. The photos will be available at www.flickr.com/photos/robocup2013. 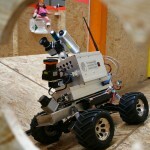 Videos will be available at our YouTube channel: www.youtube.com/user/RoboCup2013. 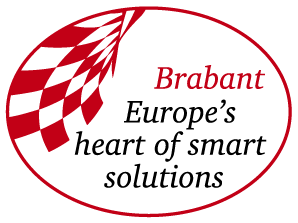 The event is also covered on Twitter (www.twitter.com/RoboCup2013) and Facebook (www.facebook.com/RoboCup2013). Raw footage of some matches will be made available via ftp. 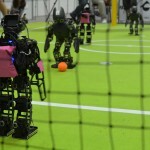 The pictures below give a short impression of RoboCup and the different leagues. You are free to use these photos for your publications if you mention the name of the photographer in the caption.